LAS VEGAS, Nevada — Sapphire bills itself as the world’s largest nightclub, all 71,000 square feet of it – and it’s about to get even bigger. 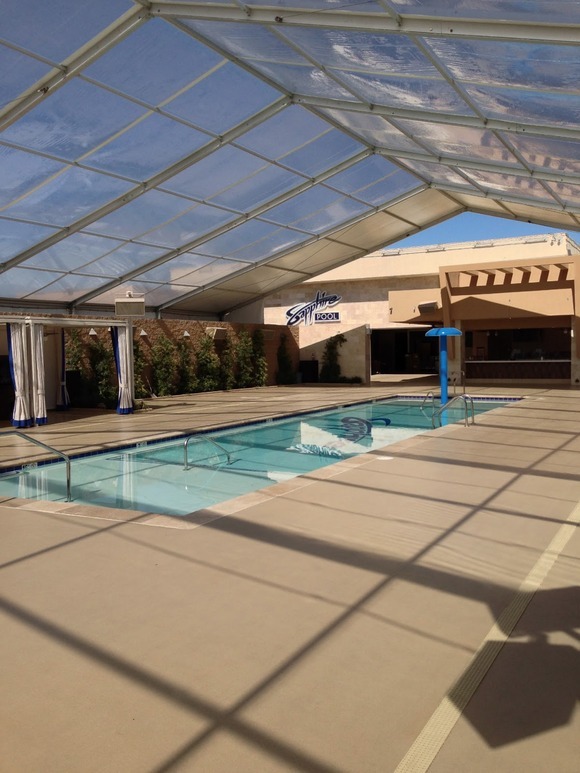 March 2013 will see the opening of the Sapphire Pool and Day Club, a place to relax, party and enjoy music courtesy of a HARMAN Professional audio system featuring JBL, Crown and BSSAudio components. An extension of the main Sapphire complex, the club will be able to accommodate more than 700 guests with amenities that include a pool, two hot tubs, an indoor/outdoor bar and restaurant, a DJ booth and entertainment area and much more. “The pool is surrounded by high walls, which facilitated the mounting of 16 JBL AM7215/66-WRX and four AM7215/95-WRX speakers near the top of the walls, facing down. When we have DJ events with hundreds of people around the pool, the system needs to deliver a lot of low-frequency impact,” explained Potts. “We chose the AM7215 loudspeakers for this application because we’ve installed them in another Las Vegas club with great success and knew they’d work well here. Mike Mahoney, President of System Services, noted that proper coverage for outdoor system installations is always an issue. “Because we were able to place the AM7215 speakers along the walls surrounding the pool and because of their excellent coverage pattern we had no acoustical issues,” confirmed Mahoney. The Sapphire Pool and Day Club’s DJ booth is outfitted with a pair of JBL VP7212/64 2-way speakers mounted on U-brackets. Six Control 47CT in-ceiling speakers in the ceiling of the bar and seven Control 29AV wall-mounted speakers serve the ends of the bar and the front entry areas. Six Control 67HC in-ceiling models deliver sound to the restaurant and 10 Control 24CT in-ceiling speakers provide sound to the men’s and ladies’ restrooms.